Lindsey Van (from left), reigning world champion Sarah Hendrickson and Jessica Jerome spoke to Savannah Guthrie on TODAY Thursday. For more than a decade, U.S. ski jumper Lindsey Van spearheaded the fight for the inclusion of her sport in the Olympics. The dream will become reality in just a few weeks when the first women’s ski jump competition will be held in Sochi. Van, 29, a 16-time national champion and the 2009 world champion, will be there as part of the first U.S. team along with Jessica Jerome, 27, and reigning world champion Sarah Hendrickson, 19. Women’s ski jumping with have one individual competition on the normal hill, while men’s ski jumping will consist of the normal hill, the large hill and the team event. 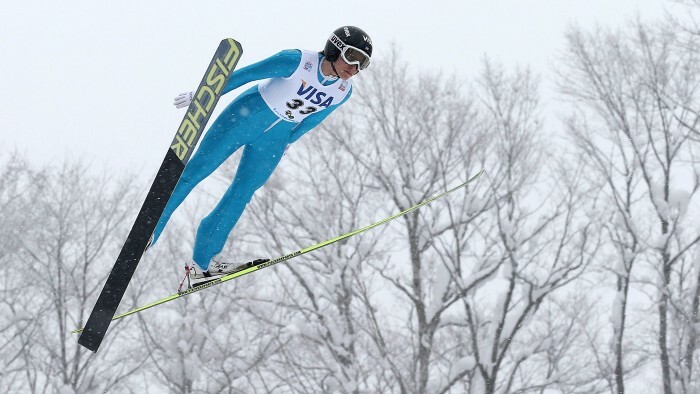 Men’s ski jumping has been an Olympic event since the first modern Winter Olympics in 1924. Van was part of a gender discrimination lawsuit against the International Olympic Committee arguing that women jump nearly as far as the men so the sport should be included in the Olympic program. The lawsuit was ultimately unsuccessful, but in 2011 the IOC made the decision to add it to the program in Sochi. Lindsey Van spearheaded the fight to get women's ski jumping included as an Olympic sport. 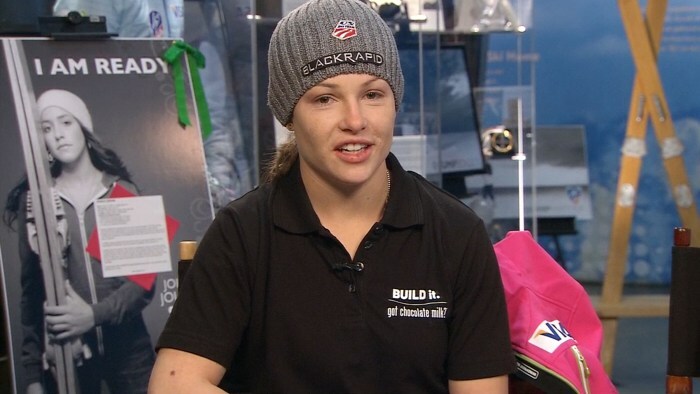 Jerome won the first Olympic trials to cement her spot, and Hendrickson made an impressive return from a major knee injury in only five months to punch her ticket to Sochi. On Aug. 21, Hendrickson tore the ACL, MCL and meniscus in her right knee in a crash while training in Germany, which left her in tears for days. She underwent surgery on Aug. 29. She has dedicated eight hours a day for 22 weeks to rehabbing her knee. At full strength, she is considered a threat to win gold. Her primary competition is looking to be 17-year-old Japanese jumper Sara Takanashi. Jessica Jerome flies through the air at the Women's Ski Jumping World Cup on January 19. All three women started ski jumping at only seven years old. Hendrickson even made an appearance on TODAY when she was seven and taking her first jumps. They hope to share the excitement of their sport, in which they rocket off a ramp at speeds that reach 60 miles per hour. While there is excitement over the upcoming Olympics, there also have been security concerns. In the past week alone, Russia has announced that it has hunted for at least five suspected terrorists who may be planning an attack, and a video made by militants has promised a “surprise” in Sochi.